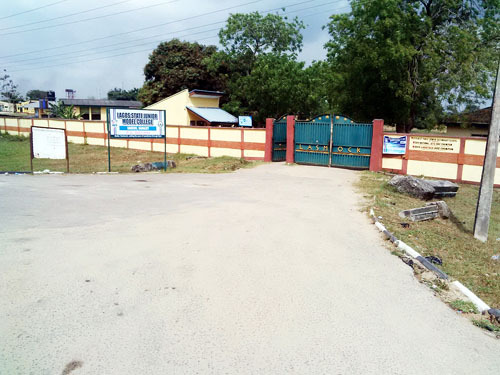 There is palpable fear at the Lagos State Model College, Kankon, Badagry, as kidnappers have threatened to abduct some pupils and staff members of the school. It was learnt that the kidnappers sent two letters of the same content to the junior and senior sections of the college respectively. This is just as the daughter of a councillorship candidate of the All Progressives Congress in the Odi Olowo Local Council Development Association, Ilupeju, Bode Adeosun, was reportedly abducted. Punch Metro gathered yesterday that that the letters sent to Kankon were posted on the corridors leading to the offices of the two principals. In the letters sighted by Punch correspondent, the kidnappers claimed responsibility for the abduction of six pupils of the Lagos State Model College, Igbonla, Epe, who had spent 28 days in captivity. They vowed to abduct six pupils from Kankon, as well as the two principals of the college, boasting that nothing could stop them. A copy of the letters read, “Kidnappers are visiting the school the same way we did at Igbonla, Epe. We are going to capture three pupils from senior school and three from junior school. We are kidnapping both principals. Policemen and soldiers were said to have been deployed in the school. However, when the ultimatum given by the suspects elapsed, the security presence around the school reportedly reduced, which caused panic. Some parents, who spoke on condition of anonymity, said they had initially wanted to keep the threat secret, but decided otherwise due to the reduction in the number of operatives manning the school. One of the parents said he had visited his ailing son, who is in Junior Secondary School, on Saturday, June 10, when he saw one of the letters. “As I was passing by the principal’s office, I saw a notice and stopped to read it. I was shocked when I read the content. The principal was not around at that time, but I alerted some staff members present. “I informed the Parents Forum Association chairman, who contacted the school authorities. The government and security agencies had also been informed. “A large number of policemen and soldiers were initially deployed in the school. There were also security vans patrolling the school surroundings. Another parent said he was at the school on Wednesday (yesterday) to assess the security situation, but was disappointed, urging the government to take the threat seriously. He also lamented that the school fence was very low while there were bushes at the back of the premises, which could be exploited by the hoodlums. A parent called for massive security around the school, saying some insiders could be aiding the hoodlums. “There is a Nigerian Air Force base near the school; the threat should not be taken for granted,” she added. The PFA Chairman, Mr. Wale Alo, said the case was reported at the Akpa Police Post and Area K Command, Badagry. A member of staff of the college, who begged not to be named, said security was required in the school. He said, “It was the junior school that got the letter first. After three days, the same letter was dropped at the senior school. The school employed local vigilantes after the letter was received. They left after some days, saying the government did not appreciate their effort. They said if anything happened to them in the course of protecting the school, they could be abandoned. The school authorities, however, described the letters as a rumour. The Lagos State Commissioner for Information and Strategy, Mr. Steve Ayorinde, said the government was aware of the letter, adding that the security of the school, pupils and staff was guaranteed. The Lagos State Police Public Relations Officer, ASP Olarinde Famous-Cole, said the police had beefed up security in the school and other colleges in the coastal areas of the state. “There is intelligence report that these people (kidnappers) may perpetrate criminal acts at model colleges. The police are using proactive measures to fortify the schools, including Kankon, to prevent what happened in model college, Igbonla. Meanwhile, the APC councillorship candidate’s daughter, Bukola Adeosun, was allegedly kidnapped around 9pm on Tuesday while she was sent on an errand to Shilon Street, Ilupeju, with her younger sister. Her father, Bode, said the abductors contacted him around 1.30am on Wednesday with a hidden number. He said “ Bukola, was sent on an errand with her younger sister, but only the little sister came back. “Around 1.39 am, we got a call from the kidnappers confirming that Bukola is in their custody. The state PPRO said a case of missing person was reported to the police.